Momotaro Jeans – Tagged "Denim" – City Workshop Men's Supply Co. The Japanese denim brand MOMOTARO JEANS was founded in Kojima Okayama in 2006, the birth place of Japanese domestic jeans. Artisans inherited the great techniques and traditions from the small coastal town, Kojima. We believe “Jeans” are not only fashion items but also the tool for creating a lifestyle. Those who succeed in life take care of themselves and select only the best quality tools. Quality tools serve as encouragement toward self-betterment and attract good luck and success. 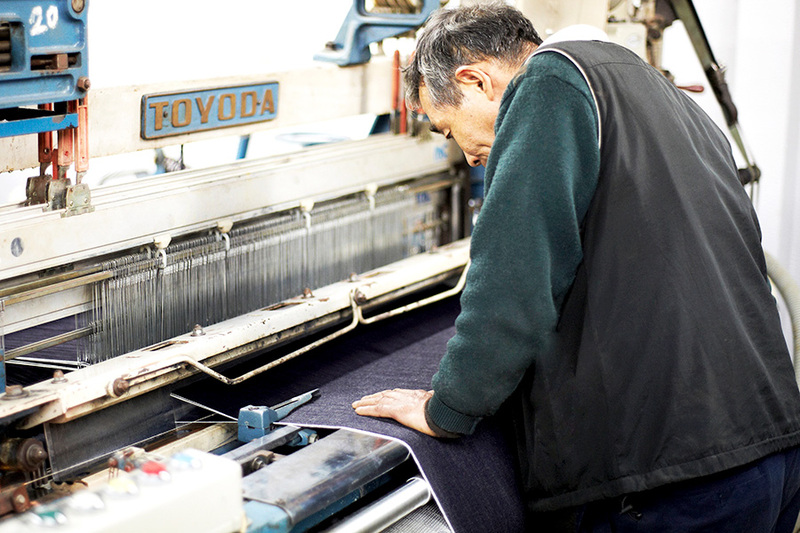 Through our Okayama artisan spirit, we understand what denim is to its core, and our unwavering commitment to the intricate art of dyeing, weaving, sewing and washing, results in the highest quality “Jeans”. In order to make life, living and the mind richer through jeans (tool), MOMOTARO JEANS is not just a fashion brand that simply offers the latest trends, we are a real clothing brand to be loved forever. For the enjoyable casual life of young-at-heart adults, for the artisans of life who march to the beat of their own drum, we offer jeans as real quality “tools”.